The Organizing Committee is very pleased to invite you to participate in the 8th Conference of the Polish Society of Experimental Plant Biology, which will be held on 12–16 September 2017 in Bialystok, at University Campus – the Faculty of Biology and Chemistry, University of Bialystok, 1J Ciołkowskiego St., 15-245 Bialystok. V Polski Kongres Genetyki – Łódź, 19–22 września 2016 r.
EPSO wishes to encourage the development of ideas and imaginative thinking in the plant sciences and, therefore, offers two awards to young scientists planning on attending the Plant Biology Europe EPSO/FESPB joint congress to be held in Prague on June 26th–30th, 2016. The awards will cover registration and travel to the meeting and will include the opportunity to present a lecture on the winner’s research (15 minutes) during a plenary session of the congress; each awardee will receive 200 €. Applications are invited from PhD students working on either fundamental or applied aspects of research on plants. One award will be offered in each category. It is our great pleasure to invite you to participate in the Joint 7th Conference of Polish Society for Experimental Plant Biology and the Intercollegiate Faculty of Biotechnology UG & MUG. 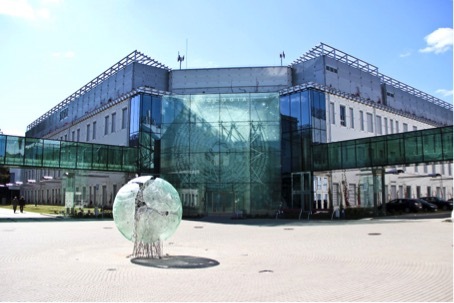 This year, the PSEPB biennial meeting is organized in cooperation with the Intercollegiate Faculty of Biotechnology University of Gdańsk and Medical University of Gdańsk (IFB UG & MUG), within the frame of MOBI4Health Project (FP7) that is currently carried out at the Faculty. The Jagiellonian University in Krakow and the Max-Planck-Gesellschaft announce a Max Planck Research Group in the area of Biophysics, Molecular Plant Sciences or Neurobiology. The group will be located at the Jagiellonian University in Krakow. The successful candidate should be early in her/his scientific career. The candidate is expected to develop an internationally competitive research program. Ideally, the scientific activities would complement ongoing research at the University and at the host institute of the Max-Planck-Gesellschaft. Detailed information available in the attachment. CIMMYT in collaboration with ICARDA and BAYER CropScience is gathering ideas and commitment for a Heat and Drought Wheat Improvement Consortium. In order to launch this initiative and to frame the discussion around the best ideas worldwide in plant stress technology, research ideas are invited for presentation at a conference in Frankfurt am Main, Germany (December 1–4, 2014), at which other stakeholders will be present, including a number of funding organizations that have expressed interest in the HeDWIC initiative (please see details in the attached call). Registration is still open for the 2014 Congress. Please note that all speakers and poster presenters must be registered by May 2nd or they may be removed from the program. To register, please click here. Early bird registration and abstract submission deadlines extended to April 14, 2014. Why study at Umeå Plant Science Center?